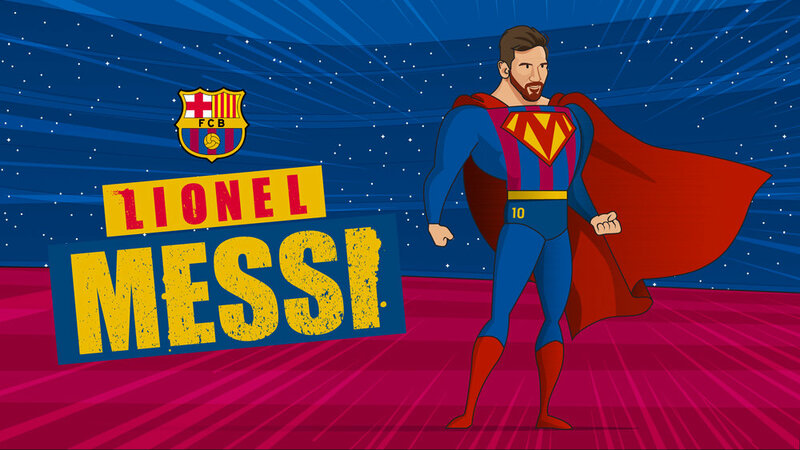 We were approached by BT Sports Production Team to illustrate a series of moments that depicted Lionel Messi as a superhero. The illustrations were used as part of a segment on BT Sport 3 during the build up to Barcelona v Roma. Illustrations were slightly re-purposed by the production team and were seen across the studios big screens. They were also animated and included in a highlights reel of Messi's best moments. The clip from the tv show are above, with the original illustrations can be seen below.